Old Sol Lumber CO. offers the public a wide range of reclaimed wood products. We stock everything from 4/4 siding to large hand-hewn beams in both softwood and hardwood. Please visit our showroom or lumber yard to discuss your projects needs. We stock live-edge lumber in many different species, shapes and sizes. Please contact us for our current inventory. Don’t see what you are looking for? DO you need a large amount of fairly consistent board? We do entertain custom orders. Let’s talk. Old Sol Lumber Co, offers custom milling. We have the ability to produce custom dimension lumber upon request. Call us to talk about your specifications. 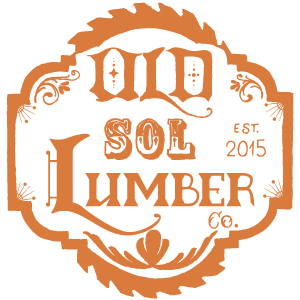 Old Sol Lumber Co. was founded by Preston and Jeremy Brown. Both committed woodshop addicts. Having founded Brothers Woodworks in 2002, they have been involved in the local woodworking industry for many years. We are always looking for fun and creative people with whom we can collaborate. Contact us. You never know what multiple creative minds can accomplish.